Welcome to Vineyard Point!! 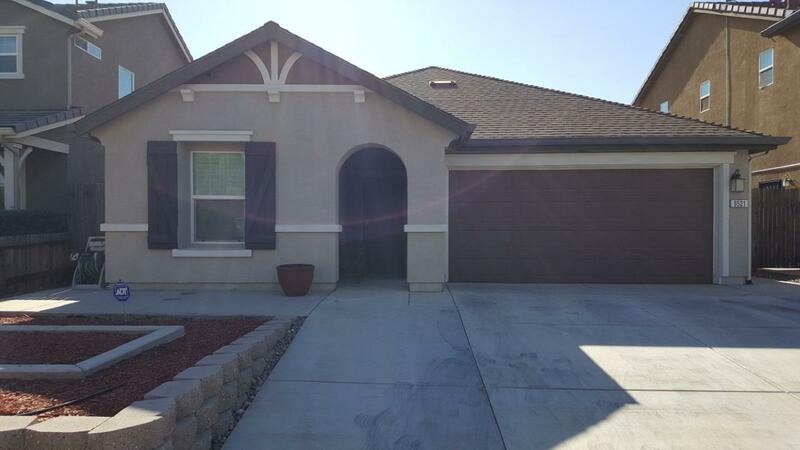 Beautiful, open 6 year old KB Home with 3 bedrooms, den/office & 2 full bathrooms. Open great room concept with huge kitchen, Birch cabinets & granite slab counter tops. Plantation shutters with 4 planks throughout, laminate flooring in hall & great room, carpet in bedrooms. Additional 99 sq ft permitted solar room with electrical. Den/office can be converted or used as 4th bedroom. Cemented back patio & low maintenance front yard with drip system. Pre-wired for all cable companies, alarm system & security cameras. Ceiling fans in every room. Samsung refrigerator, front load washer and dryer included in sale with no warranty.